Boston, MA (July 21, 2014) The 2014 Michelob ULTRA Boston 13.1 Marathon, produced and presented by Life Time – The Healthy Way of Life Company, will return to the Bay State on Sunday, Sept. 14, 2014. The half marathon route will begin and end at Suffolk Downs, taking runners along the fast, flat surfaces of Revere Beach Blvd and Ocean Ave and throughout East Boston and Revere. Ten party stations will be set up throughout the course to keep runners energized and motivated, and runners can celebrate with an ice cold Michelob ULTRA at the post-event race party (available to participants 21 & over who present valid identification). There will also be a 5K route for those that wish to participate, but do not want to run the entire 13.1 miles. Nearly 2,000 runners are expected to participate. 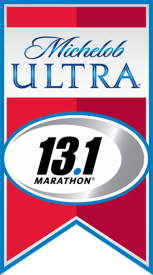 Leading up to the 2014 Michelob ULTRA Boston 13.1 Marathon, there will be a series of training runs every Sunday from July 20 – Sept. 14, 2014 hosted by Life Time. This will be the first year that the Michelob ULTRA Boston 13.1 Marathon will be produced by Life Time. In January, Life Time acquired US Road Sports and Entertainment Group, which produced the Michelob ULTRA 13.1 Marathon series. More information about Life Time Athletic Events is available at EventsByLifeTime.com, on Twitter @lifetimefitness and the Life Time Athletic Events Facebook page. As The Healthy Way of Life Company, Life Time Fitness (NYSE:LTM) helps organizations, communities and individuals achieve their total health objectives, athletic aspirations and fitness goals by engaging in their areas of interest — or discovering new passions — both inside and outside of Life Time’s distinctive and large sports, professional fitness, family recreation and spa destinations, most of which operate 24 hours a day, seven days a week. The Company’s Healthy Way of Life approach enables customers to achieve this by providing the best programs, people and places of uncompromising quality and value. As of July 21, 2014, the Company operated 111 centers under the LIFE TIME FITNESS® and LIFE TIME ATHLETIC® brands in the United States and Canada. Additional information about Life Time centers, programs and services is available at lifetimefitness.com.